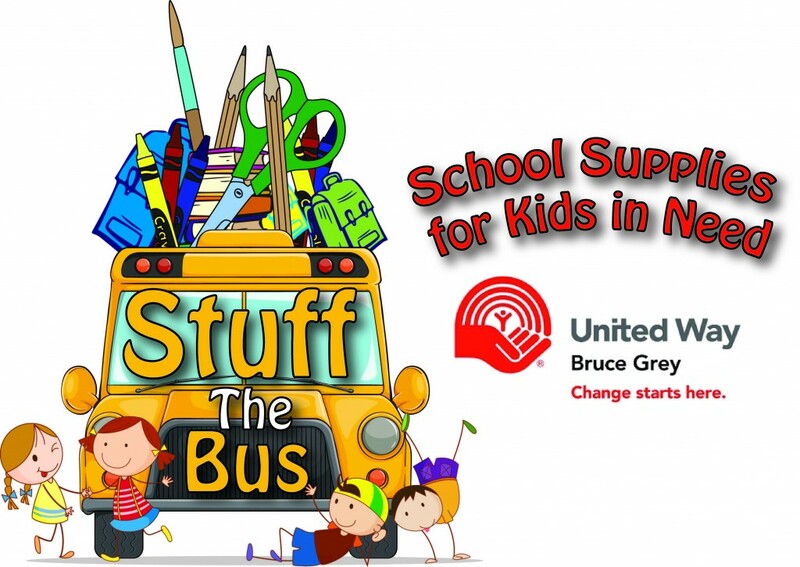 The United Way backpack campaign provides basic school supplies for underprivileged children in the Grey Bruce area. While providing school supplies helps children succeed academically, many teachers have emphasized how the program has helped remove bullying from the classroom. The United Way is pleased to announce the hiring of Kayla Busey as this summer’s backpack coordinator. We are looking for volunteers in addition to special events to fundraise and collect school supplies. You can contact Kayla for ideas and pick up and drop off locations at backpacks@unitedwaybg.com. To meet the needs for the area, our goal is to build 2,200 backpacks and any help and support is appreciated. An extensive amount of supplies is needed to help children in primary school to high school. Among the supplies is over 18,000 pencils, 15,000 pens, over 2,200 pencil cases, binders and rules among many others. Every year, the United Way hosts “Stuff the Bus” drives outside of local businesses where members of the community can donate to help reach our goal. Watch for the drive in your community! If you have clients, friends or family who need to access this program, they can register through 211.